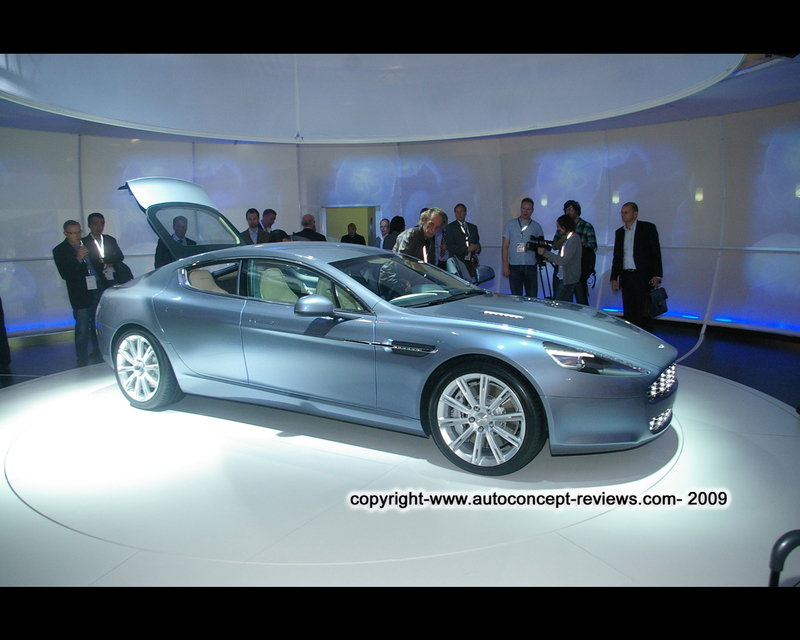 First shown in 2006 in concept form ( see Car Reviews Aston Martin Rapide for details and pictures) the Aston Martin Rapide Project received an immediate green light from Aston Martin's new shareholders in mid 2007 following the sale of the company by the Ford Motor Company. In a little over two years, Aston Martin design and engineering team have delivered a new car from the ground up. 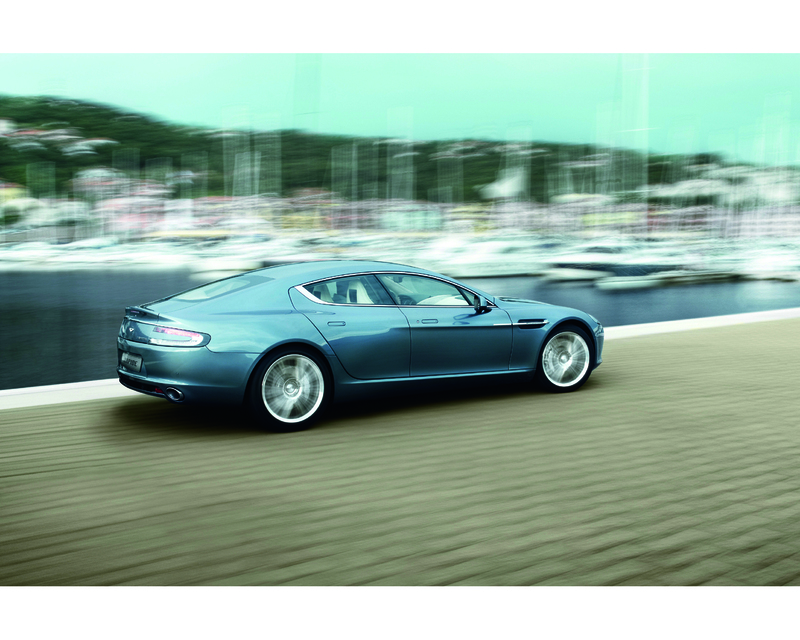 The four door Rapide has been developed from the 'V/H Architecture' platform which already forms the backbone to Aston Martin's critically acclaimed line-up: the DBS, DB9 and Vantage range. Chief Executive, Dr. Ulrich Bez said: "Rapide is the culmination of the Aston Martin range of sports cars, a car that seals the revival of a truly admired marque. There is now an Aston Martin for every taste and for every use. 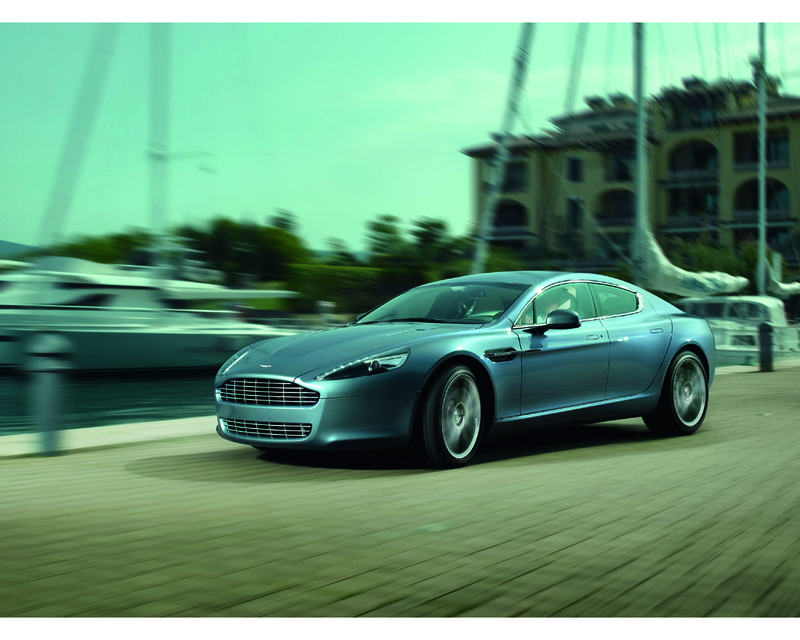 With Rapide, the entire family can enjoy their Aston Martin together in unison, in an invigorating yet comfortable environment, sitting low, with plenty of visibility from every seat and with new levels of comfort, refinement and entertainment." Director of Design, Marek Reichman who led the in-house design team which penned the Rapide said: " Like a race horse standing still, you can see its power and elegance, the shape of Rapide's rear haunches are muscular conveying the power that lies beneath while its low stance produces a powerful look. There is a real sense of proportion with this car, akin to a tailored suit; the new double gives more presence on the road while the iconic signature side strake has been lengthened through to the rear doors to enhance its lateral proportions in a subtle, yet elegant way. The car's purity makes it look right from every angle." 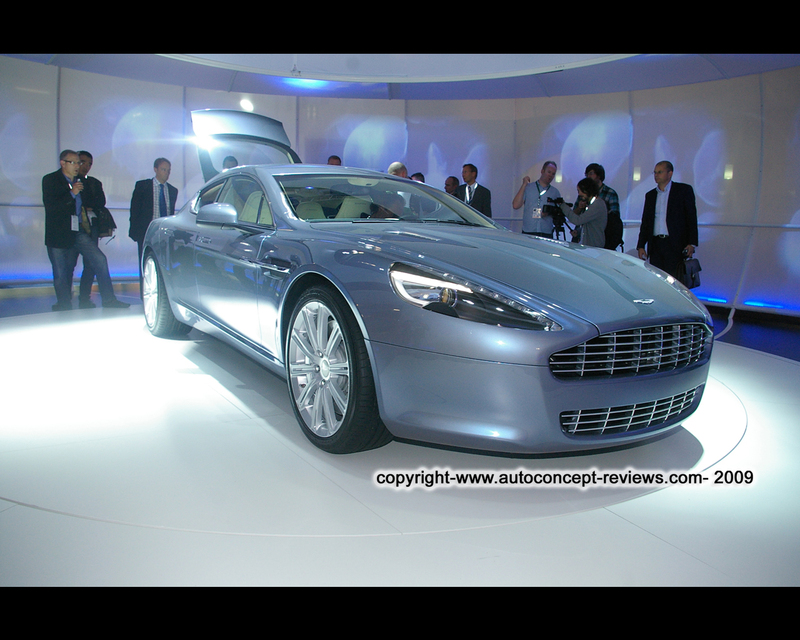 First deliveries of the Rapide will commence early in 2010. The Aston Martin Rapide features a hand-built 6,0 litre V12 engine producing 470 hp/ 350 kW with peak power being delivered at 6.000 rpm and 600 Nm/ 443 lbft peak torque at 5.000 rpm. A specifically tuned rear mid-mounted rear wheel drive six-speed Touchtronic 2 automatic transmission features as standard, allowing the driver to change gear automatically or manually via the steering column-mounted magnesium paddles. 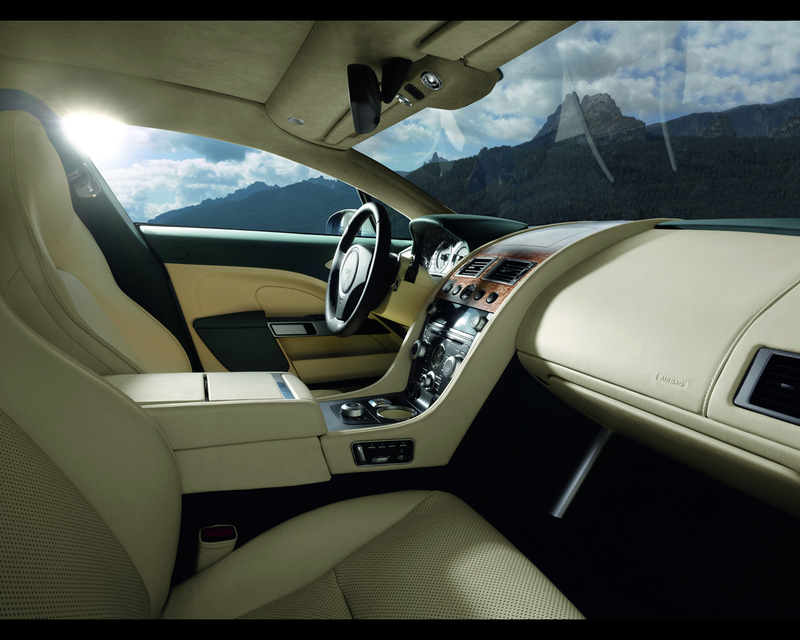 The 0 to 60 mph time is 5,1 seconds (0 to 100 kph in 5,3 seconds). 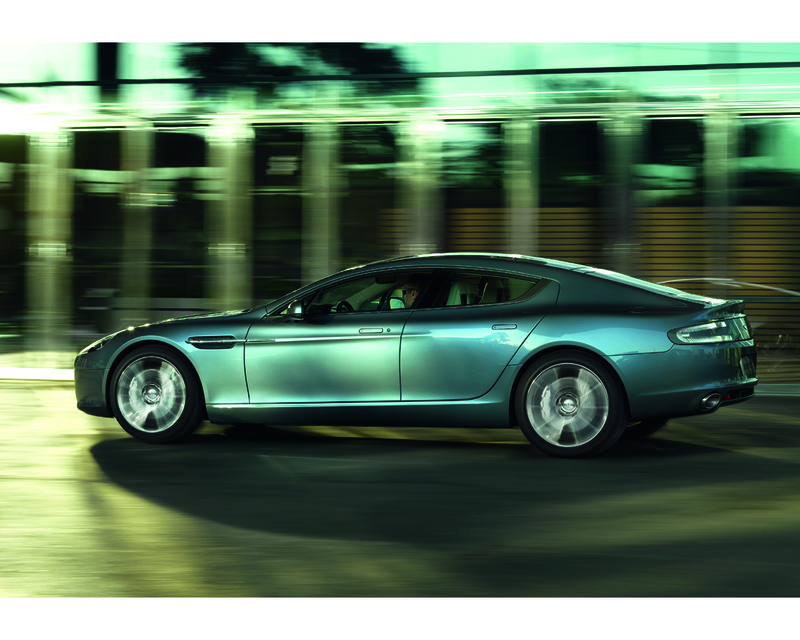 The engine designed and developed by Aston Martin engineers in Gaydon, England is handbuilt in a dedicated facility in Köln, Germany. 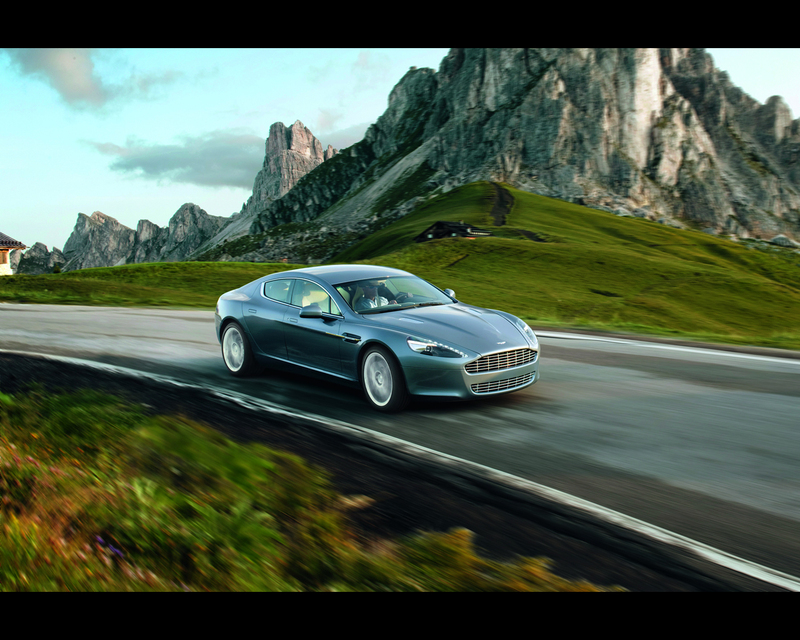 The use of lightweight materials has resulted in the Rapide's projected weight gaining only 190 kg over its DB9 sibling, delivering a target dry weight of 1950 kg. This figure is achieved through the use of the Aston Martin Vertical/ Horizontal (V/H) platform technology derived from aerospace industry employing aluminium which is bonded rather than welded to create a lightweight and ultra-stiff chassis. 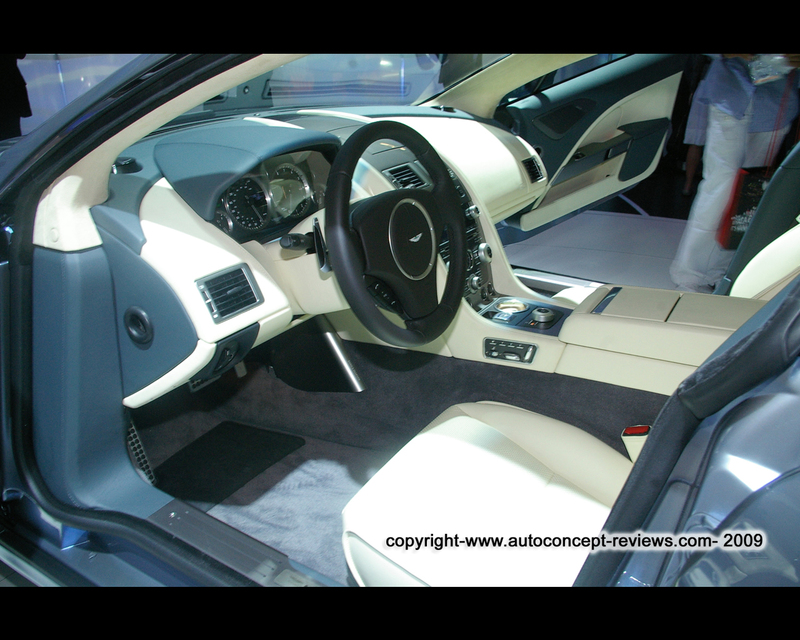 Specification: Four door body style with four individual seats; Extruded bonded aluminium VH body structure. Aluminium/magnesium alloy and composite body. Extruded aluminium door side impact beams. All alloy quad overhead cam 48 valves 5.935 cc V12 engine. Front mid-mounted engine, rear wheel drive. Compression ratio 10,9:1. 470 bhp/350 kW at 6.000 rpm. 600 Nm (443 lbft) at 5.000 rpm. Maximum speed 188 mph (303 kph) predicted. Dimensions length 5.019 mm (197.6 "), width (including mirrors) 2.140 mm (84.3"), Height 1.360 mm (53.5") luggage compartment 301 litre to 750 litre with rear seats folded.